Unique delicate vegetable oil made by an old recipe. 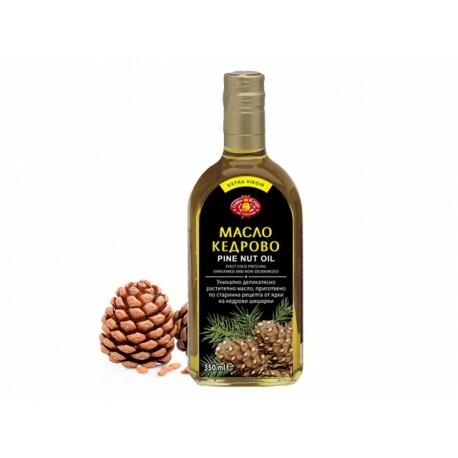 The incredible power of Pine nut oil has won worldwide recognition. Pine nut oil is used not only as a tasty cooking oil but also as a well-known part of folk medicine. Cedar oil is successfully used for the prevention and treatment of a number of diseases. Pine nut oil is characterized by its high content of Vitamin A, B1, B2, B3 (PP), B6, D, E, F, K.
Vitamin E contributes to lowering cholesterol and plays an irreplaceable role in all reproductive processes and genital mechanisms. Pine nut oil contains three times more vitamin F than drugs and food supplements made from fish oil. Pine nut oil is also extremely useful for children, ensuring the proper growth and harmonious development of the child's body. Pine nut oil is strongly recommended for people living in large cities and other contaminated areas. Among the many advantages of pine nut oil, it should be noted that it does not contain any animal fat, making it a successful participant in the vegetarian cuisine as well. Pine nut oil is suitable for pregnant and nursing women due to the vitamin E content, which plays an important role in genetic processes. Pine nut oil successfully stimulates lactation. Take 1-2 tsp. two or three times a day after a meal. For easy intake, you can dilute with a glass of water. Pine nut oil is delicate and useful. It can be used for preparing green salads, vegetable jams, soups, pastries and hot buckwheat. Using the cedar butter in the cooked recipes, you will give the dishes unparalleled flavor and flavor. For direct application to the skin. It can be used as massage oil or added to a bath. You can use to make a homemade cream. 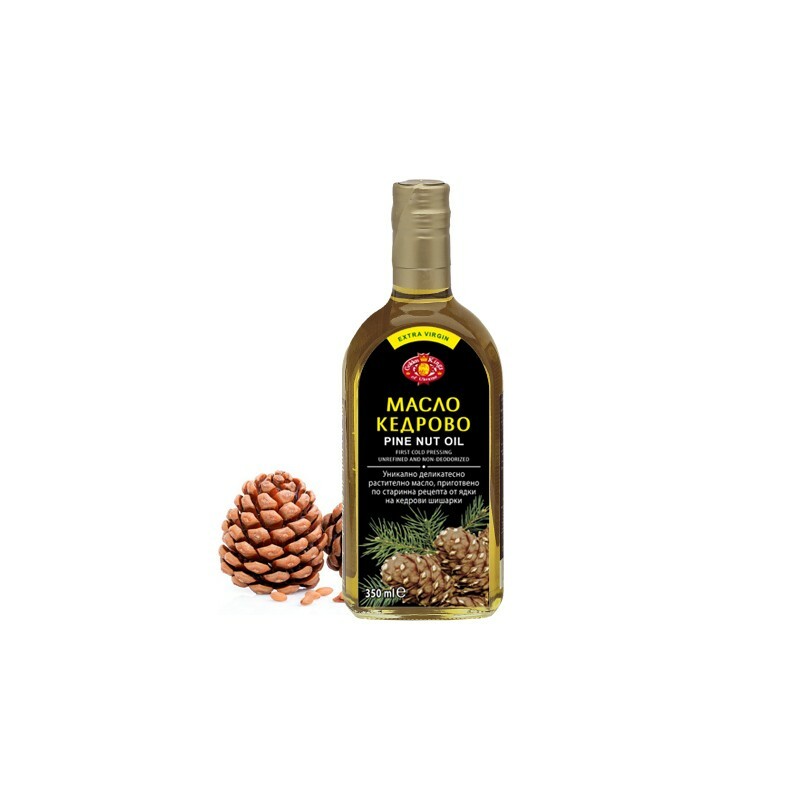 Pine nut oil blends well with essential oils of incense, bergamot, linoleum, jasmine, juniper, lavender, rosemary. Евкалипт, Етерично масло, Styx - 10 мл. Лайм, Етерично масло, Styx - 10 мл.